The 6th AGM of the Greening Wingrove CIC takes place Saturday 16 February 2019, beginning 1pm, finishing approximately 1.30pm. It will take place at 250 Philip Street, Arthur’s Hill, NE4 5BH (the former CHAT Trust building, just around the corner from the Time Exchange on Stanton Street). The agenda and items for the AGM will be circulated later this week, and will include the CIC’s annual report, minutes of the last AGM, the annual accounts for 2017-18, a proposal to approve exploring adoption of charitable status as a Charitable Incorporated Organisation, and election of Directors to fill CIC Board vacancies. There are six vacancies for CIC members on the 12-person CIC Board. Two current Directors are standing for re-election. So, room for more! If any members are interested in finding out more about the role, then please do get in touch. There is a form for self-nomination below. “We have friendly and interesting meetings, generally once a month”, says Greening Wingrove chair, Nigel Todd. After the annual meeting, people will be invited to stay for refreshments and have a look round 250 Philip Street. 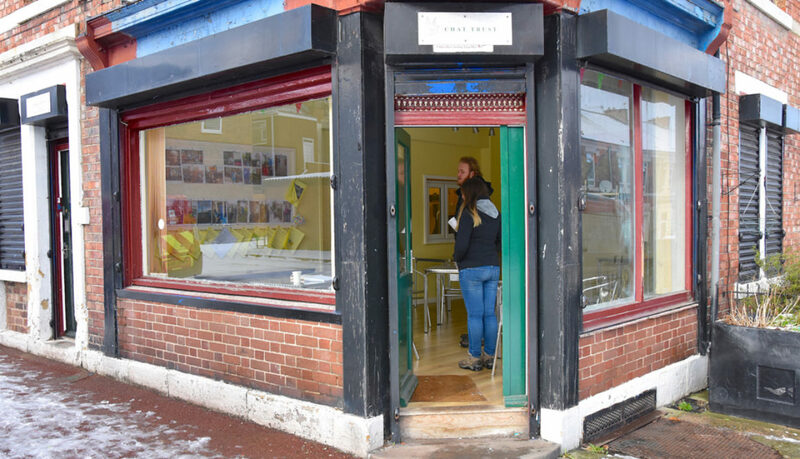 Greening Wingrove is looking at the possibility of taking on responsibility for the building and turning it into a community hub, and wants to hear any ideas YOU may have for how the building could be put to good community use.